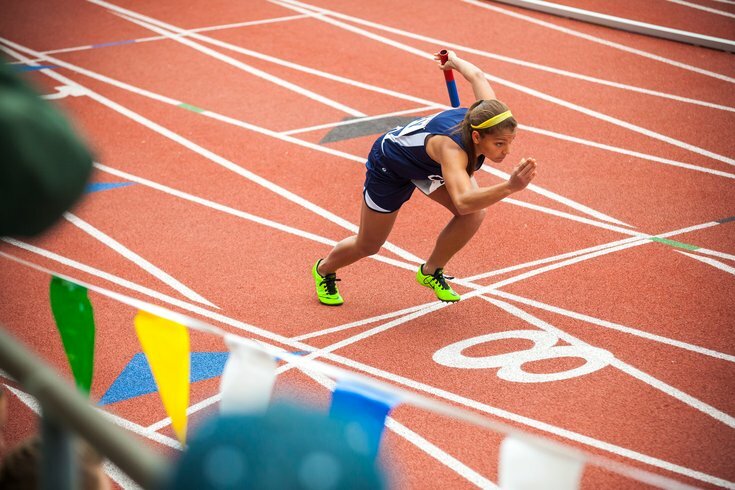 This track and field meet - which is the nation's oldest and largest - draws thousands of professional, collegiate and high school athletes each year. Here, an athlete from the Calvary Christian Academy competes in the high school girl' 4x100-meter relays, Thursday, April 28, 2016. The 124th Penn Relays will take place at the University of Pennsylvania's Franklin Field this April. Each spring, thousands attend the world's largest track & field event, where athletes from all over compete. Spectators often witness top track & field competitors break records and begin their Olympic careers, especially in the USA versus The World races. Spectators and athletes are also invited to check out Carnival Village around Shoemaker Green, where there will be sports merchandise and fan gear for sale, as well as giveaways. Grace Foods will be on site offering a taste of the Caribbean. For more food and drink, stop by the concession stands located around the concourse of the stadium or head to Food Village, located behind The Palestra. Tickets are required to enter Franklin Field. Single-day tickets, three-day passes and a VIP experience package are available.